So settled for doing a Joker version in the SP theme – tbh the Madness of the Joker from the last batman movie will be perfect. This challenge aim was to help us work and understand layers more, as well as getting use to working with images of different sizes. This also pulled in our knowledge from Chapters 3 and 4 from the ‘Adobe Class in the Book’ book. 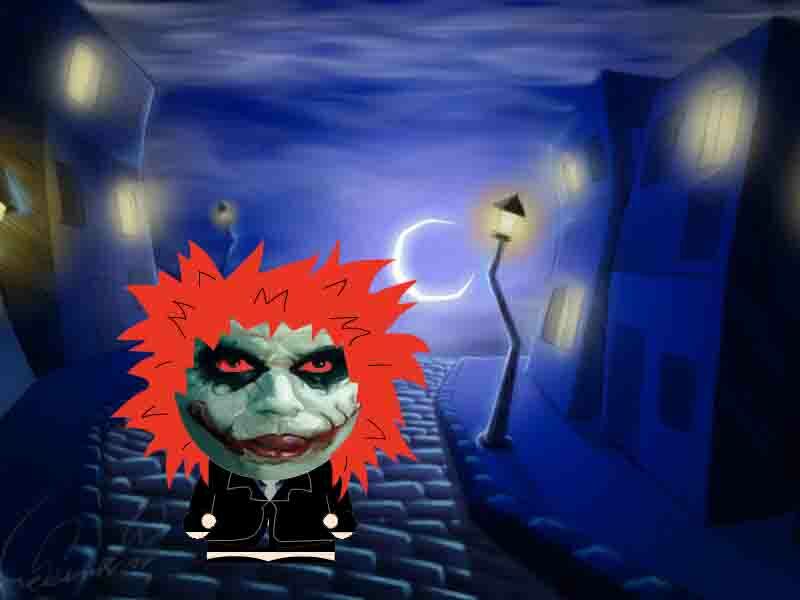 The first part was to build a south park mock up of a character, by sellecting the different layers you could then choose your style – for me as i was working with the ‘Joker Idea’ so went for a ‘mad’ spikey looking nutter with a bit of the formal – so red hair and a suit was choosen. The next part was to insert ‘our’ face into the image, due to the difference in image size, the face was massive…. So to resize it to the correct size, we selected the southpark layer called face, and then dragging ‘our face’ layer to just infront of the southpark face and then changing the Opacity of ‘our face’ so you could just see it. We just then hit Ctrl and ???? and it auto sized it to the size of the southpark layer. Keeping with the theme of the Joker, I went for a dark street for a background, this was just a case of using the ‘adobe bridge’ option and looking at the backgrounds and then double clicking the image i wanted. I could either copy and paste one into the other, or by using the ‘arrange documents’ button (the method I went with), I just dragged the Joker into the steet background, brought him to near the front to keep him in the foreground. I enjoyed this challenge tbh, learnt a lot more by being shown how to do it than i would by just trying it myself. Just wished we had more time in class to finish this, as the idea of a smoking gun or a deck of cards in his hand would have finished the image.